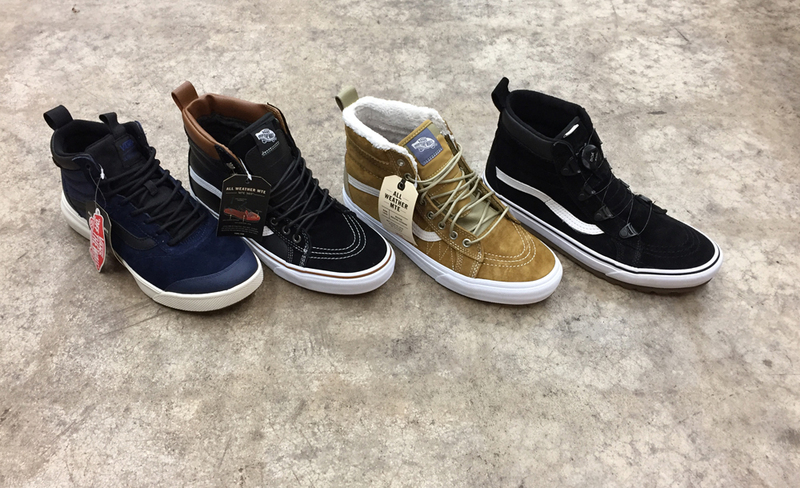 The Vans MTE have arrived and perfect for those snowy days featuring reverse waffle cup and scotch guard protection. 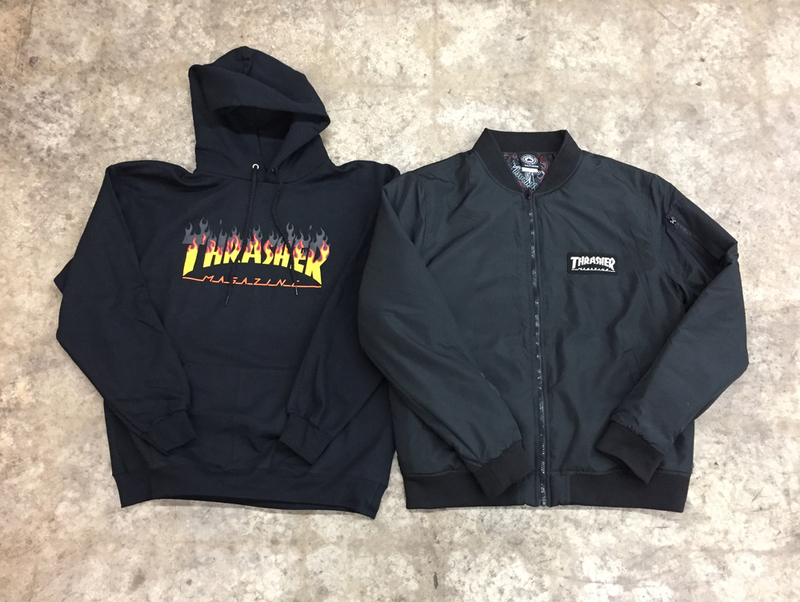 New Thrasher gear in stock and going quick like always. 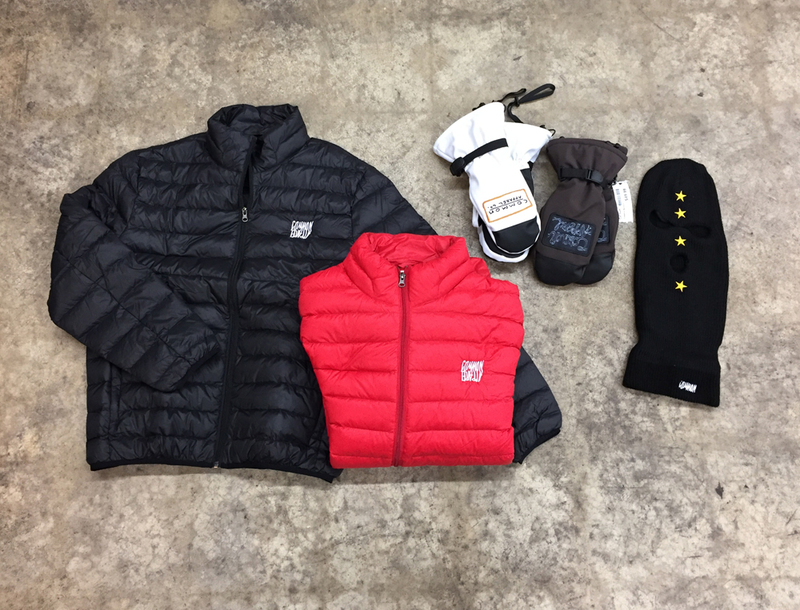 Support local skate and snow brands by picking up some Common Apparel. 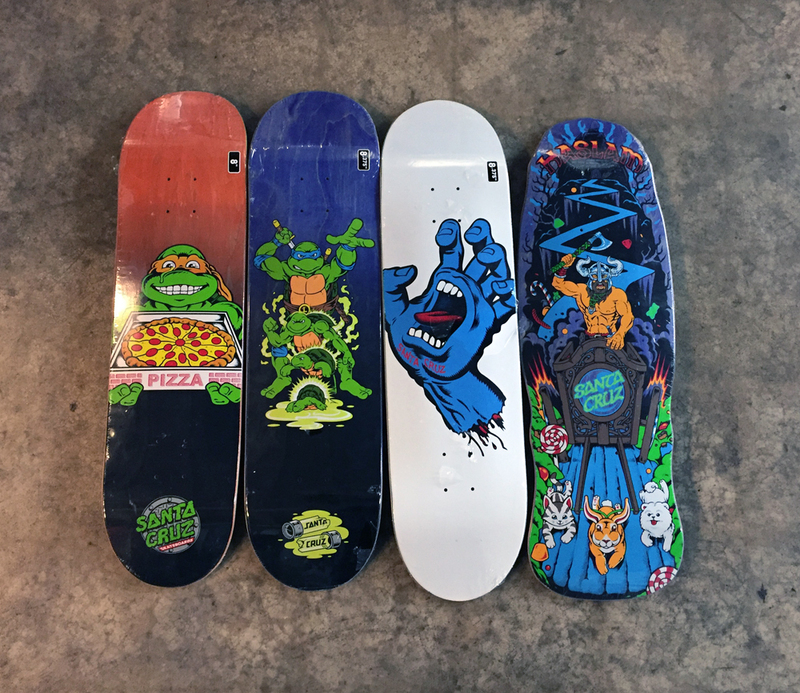 New decks from Santa Cruz in stock if your old board is busted.